A voice coil produces sound pressure waves. It’s not often talked about as other components such as subwoofers or amplifiers but it’s just as vital. In this post, we wanted to go in-depth on the topic of voice coils. We didn’t want to just solve your problems, but we wanted to give you the “why” of voice coils burn out. Understanding the “why” helps you in the long run because you’re able to view different situations and figure out what to do. Knowing the name is only memorizing something. Knowing something is understanding something in a wider scope. You understand how it works in different situations with different variables. 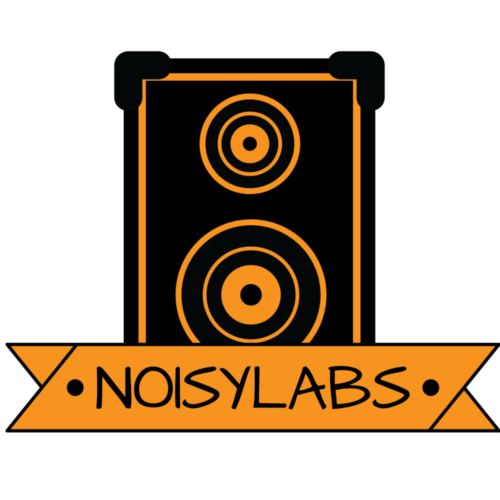 In this post, we want you to know how voice coils work which is why we’re not just giving you the solution. Before you even attempt to fix your burnt voice coil, make sure your voice coil is aligned. Sometimes a misaligned voice coil can be mistaken for a burnt voice coil. This misalignment is caused by the woofer rubbing on the voice coil. Fixing a voice coil takes a lot of work. One of the reasons why it’s connected to other components means you’re going to have to fix those too. If you find that your voice coil is burnt (which you’ll know if you keep reading below), then you’ll also need to fix the braids and spider (we explain what a spider is later). But our main focus right now is the voice coil. Our approach here is to give you a general framework on what to do. We want to give you a framework because every speaker is different. We should warn you that voice coils need to be exact when replacing them. If you get a replacement voice coil then the dimensions might not work and it won’t vibrate right assuming it’s not coming from the same manufacturer. An amplifier rarely overpowers its own speaker, but in some instances it does. One situation in which it causes problems is when the wattage power doubles or triples the loudspeaker. Having an amplifier go beyond its means causes what’s known as “clipping”. Clipping happens when an amplifier tries to deliver current or voltage beyond what it can do. The term is coined clipping because the sound coming out sounds like it’s clipping. In other words, it sounds like it’s getting cut off. How does clipping affect voice coil? When the power from an amplifier can’t be transferred correctly it goes from producing sound to just heating voice coils. An underpowered amp is not a problem when thinking of damaged speakers or coils. Some amplifiers are weaker because the manufacturer made it so. Manufacturers do this to prevent listening at damaging levels. The problem is if there is a 30-watt gap between the speaker and the amplifier. Having a gap causes other parts of the speaker such as the bass and treble to overcompensate resulting in a compromised speaker. And a compromised speaker is one full of distortion. It’s all about balance when targeting premium sound quality. Correctors are the adjustments on your stereo system. 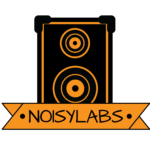 We have a member here on noisylabs who had a 2002 Toyota Camry and he would always play with the treble and bass. When he adjusted the treble he noticed nothing. But when he turned the bass all the way up, the sound distortion was clear. He couldn’t hear any vocals and the sound itself was static. Both treble and bass are correctors. Assuming your volume stays the same at 30 watts (which is already a lot), and you adjust the bass higher, your speaker will handle more watts then it’s capable of. This situation is similar to pushing your body in the weight room. If your normal weight range for squat exercises is 135, then all of a sudden you go to 250, you’ll fail. The same concept applies to correctors. The most common application of an equalizer is in recording studios and live instruments. Their function is to balance frequency with audio signals. 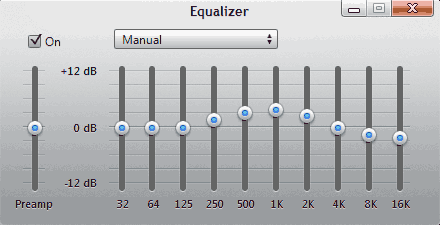 But the user error comes into play when users try to use the equalizer as a corrector. Using the equalizer as an adjustor for bass and treble is the same as our last analogy in our corrector section. You’re lifting weights that your body isn’t used to. When the bass and treble is adjusted by an equalizer instead of being used for what it’s intended to, then you’re pushing the speaker beyond its limits without protection. Don’t confuse the excessive use of sound volume with the amplifier being too strong. The key difference here is the excess volume is caused by the user. The amplifier plays a part when you try to push the volume, but the amplifier doesn’t have the capability to send the signals at the rate it’s required to. This lapse in signals causes sound distortion. On the other hand, this causes the speaker system to work overtime which causes overheating affecting the voice coil. HOW CAN YOU TELL IF YOUR VOICE COIL IS BURNT? There are 3 quick ways to know if your voice coil is burnt. The 1st tell is obvious. If you smell the coil and it’s burnt. Easy. The 2nd tell is by touching the cone and you hear something crunchy. That “crunch” you hear is due to the burnt cone. The opposite of an ice cream cone. The 3rd way to find out if your coil is burnt is by using an ohm meter. By using an ohm meter, you’ll be able to realize 3 different things. The first thing is resistance. A multimeter measures the resistance by connecting its probes to a resistor. By discovering resistance, you can also identify 2 more variables. Those 2 variables are voltage and power. And power in this case also stands for current. We discussed how these 3 variables make out for a formula on our post about converting 8-ohm speakers to 4 ohms. The “I” means current and the “V” stands for voltage. So either voltage or current has to go up for power to go overboard. You can measure speaker current and voltage by using a series ammeter, a clamp on an ammeter, and a voltage drop across a series resistor. Understanding how a speaker delivers energy is important to understanding how to fix voice coils burning out. If you’re into physics then let’s give you a concise sentence of how speakers convert sound. The basic premise is electrical energy turning into mechanical energy. An example of this is when plugging in a wire for a vacuum. When you plug in your vacuum, you’re trying to get electrical energy which in turn transforms into mechanical energy. The problem is when too much power goes through the coil causing it to overheat. Achieving sound pressure takes power no matter what. 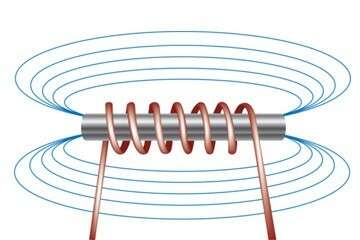 A current causes the coil to produce a field of magnetism which causes the wire to move. This, in turn, causes the coil to move. This is a very brief description of how a speaker operates in relation to a voice coil. Because we want you to understand how a speaker delivers sound more deeply, let’s discuss the physics of how a speaker operates. We’ve said a speaker is something that turns electrical energy into mechanical energy. That mechanical energy is supposed to be an audible sound. Once you hook up your speakers into a stereo or an output, then electrical signals are sent through speaker wires. This is why it’s important to make sure your speaker wires are good. Knowing the difference between CL2 and CL3 speaker wires could be the first step. This is where the voice coil comes into play. Once electrical signals are sent through the speaker wires, then the voice coil comes into play. 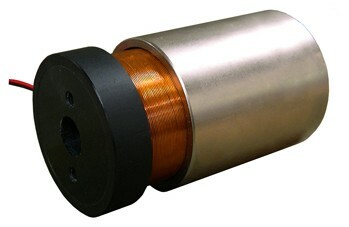 The voice coil acts as an electromagnet which turns into a magnetic field. You know how we have direct current and alternating current? Well, both come into play here and it’s easy to visualize. The back and forth causes the voice coil to act as an electromagnet. And the electromagnet works to bring the permanent magnet closer or farther. That’s why when you look at a subwoofer it looks like it’s vibrating back and forth. The coil is pushing and pulling the cone. When the cone starts pounding, then sound waves form turning the electrical signals into something audible. Now that you got a broad understanding of how a voice coil operates, let’s get more in-depth to make sure this sticks in your head. 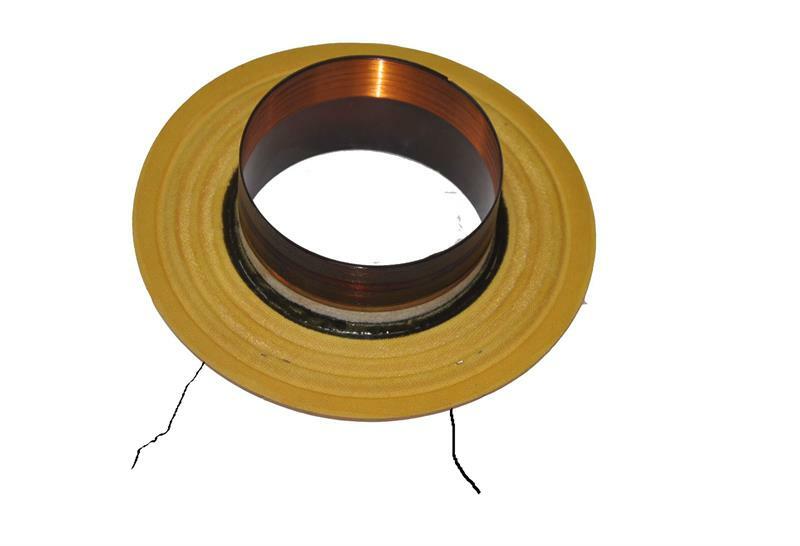 WHAT AFFECTS THE VOICE COIL? Part of understanding something is knowing how to manipulate information. We know putting C next to A turns it into a negative. For what we’re talking about here, we want to know how a voice coil is affected by the cone and permanent magnet. These 2 components are literally on both sides of the voice coil just like the “B” is in the algebra equation. Sometimes the permanent magnet is called a field magnet. The main difference between a permanent magnet and an electromagnet is the mobility. The permanent magnet is solid. It doesn’t move. An electromagnet, on the other hand, is designed to be mobile. What makes the voice coil vibrate? It’s the electricity that passes through it. But the real question here is how does a permanent magnet relate to a voice coil? A permanent magnet creates a magnetic field. And as opposites attract, the negative end of the permanent magnet attracts the positive end of the electromagnet (voice coil). When vice-versa happens, this causes the voice coil to do the opposite. The forces created by polarity causes the voice coil to repel and attract causing vibration which brings us to our next subject. A cone is the last part of the process when converting electrical signals into an audible sound. But we already knew that. What we want to know is how does it relate to a voice coil? Well, a cone is made up of different material depending on the manufacturer. One debate that comes up often when it comes to speaker cone material is kevlar vs. polypropylene speakers. Depending on the material, you might have a dome or a cone. The material affects how strong the voice coil needs to be. A paper cone is flexible, but it’s also easy to blast sound through it. Another point that needs to be understood is knowing what a “spider” is. A spider is a ring keeping the coil in position. But it also lets a coil move freely. 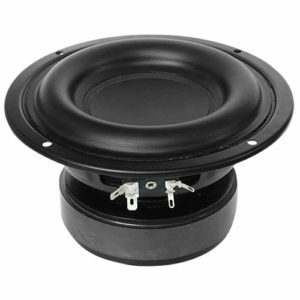 Before doing anything we recommend you have a replacement voice coil on hand from the manufacturer that made your speaker. Because if you purchase a random voice coil it might not fit in the speaker. Those dimensions are specific and you’ll waste time and money if you get the wrong one. The second piece of advice we’d give is to understand everything we’ve given you. Not only will you be able to know when your voice coil is burning but you’ll understand how speakers work in general. Understanding should always be the first step before executing.